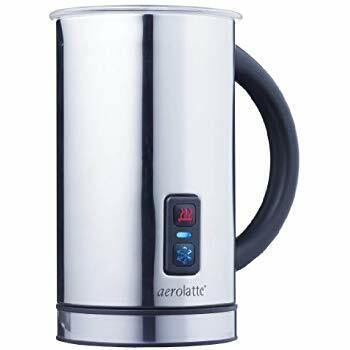 Home / Coffee / Steaming and Frothing Tools / Aerolatte 041 Compact Hot Frothing Jug, Stainless Steel, 11-1/2 oz. Aerolatte 041 Compact Hot Frothing Jug, Stainless Steel, 11-1/2 oz. The Aerolatte Compact Heat and Froth will easily warm and create milk foam in 20 seconds, ensuring a perfect cappuccino is yours to enjoy each and every time. 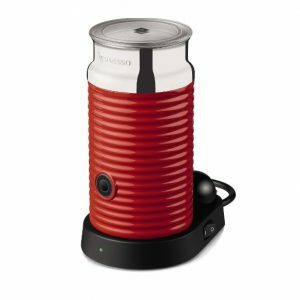 Also works great for caffe lattes, hot chocolate, flat white, milkshakes and any other milk drinks that you can think of; Makes cappuccino froth for two servings.